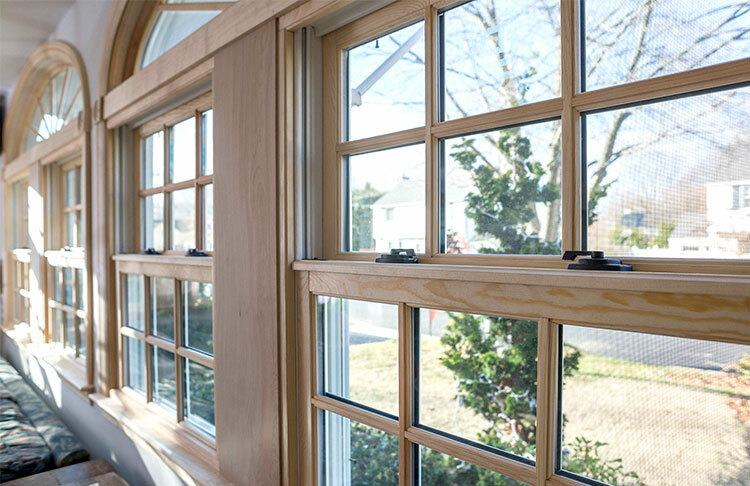 New windows can be a great investment for your home, but only if you choose the right ones. Likewise, to make the most out of this home improvement project, it’s important to pick the right replacement window contractor. But how do you know who will best fit your needs? Here are some questions to ask potential contractors so you can find just the right company to help you get the new replacement windows you want. Question 1: What is your company’s full name and address? This may seem very basic, but it’s important to know who you’re working with and have these details correct when researching a contractor’s business history or contacting their referrals. You may also prefer a contractor who is local and knows your area well. Question 2: How much do you charge for an estimate? Homeowners expect to pay for their window installation of course, but don’t forget that the initial estimate can come with a price tag too. Ask contractors if they offer free estimates and if there are any stipulations attached. Question 3: What is the estimated cost of my replacement windows and installation? Of course everyone wants to know about price up front, but ask for a detailed break down of the cost of materials, labor, and other factors from each window contractor you are considering. When price comparing, ask if they have any deals or discounts available. Also ask about the expected deposit and what payment plans are offered. Question 4: How long have you been in business? You want to pick a contractor who knows what they are doing. Ask potential contractors how long they have been installing windows, and then do your own research about their business history and customer reviews. A short company history may be a sign of inexperience or even instability. If you’re still interested in a newer company, request references whom you can ask about their work. Question 5: What kind of insurance do you carry? Contractors should carry both comprehensive liability insurance to cover any damage or injury to you or your property and workers’ compensation insurance to cover injury to their own employees. Both kinds of insurance protect homeowners from any liability. Request current proof of insurance and review what coverage is offered before signing any contracts. Question 6: What is the timeline and process for my new window installation? Timing is important for any home improvement project. Ask contractors how long your window replacement will take, and confirm that their proposed timeline fits your schedule. Additionally, ask about the project’s process so you know what to expect each day of the installation. Question 7: How large of a selection do you carry? You might like a certain window contractor, but if they don’t offer the products you want then you’re wasting your time. Look for a contractor who can offer multiple kinds of windows from various suppliers and manufacturers and at different price points. Beware of contractors who try to sell you only one brand. They are more concerned with selling a company’s products than with meeting your needs. Question 8: What warranties exist for the materials and labor? Request copies of both a manufacturer’s warranty and the contractor’s workmanship warranty. Read the fine print and ask about anything that is unclear. Look for a contractor who is confident and willing to stand behind their work and makes addressing customer issues a priority. Question 9: Do you use subcontractors or provide all labor yourself? It’s not uncommon for contractors to use subcontractors for help with big jobs. Ask for a list of who will be on your property and proof of relevant licensing and insurance for everyone. Also ask how long this subcontractor has worked with the contractor. Question 10: How do you handle customer complaints? Of course no one begins a project expecting things to go wrong, but in case your replacement window contractor’s work doesn’t meet your expectations in the end, how do they fix their mistakes and do right by the customer? Ask potential contractors how they have handled customer complaints in the past and if they have ever lost a job-related legal case. You can also research this online. Looking to update your Chicago home with new windows? Let Siding & Windows Group help you get the great looking home you want! Contact us today for a free replacement window consultation.